Christmastime is often a blur of activity that includes a few moments to reflect on the coming of Christ. 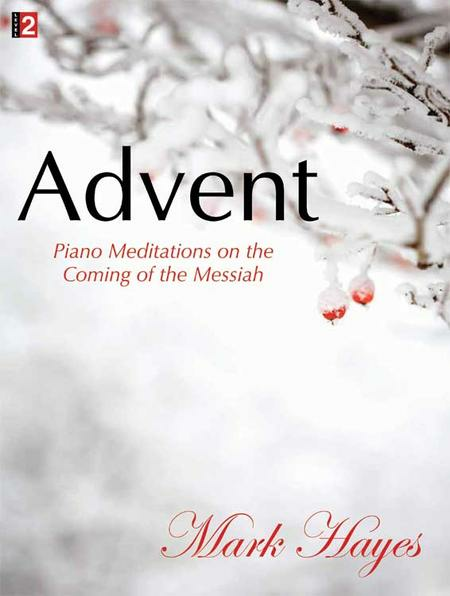 In this beautiful collection, Mark Hayes provides us with eight meditative arrangements designed to help us slow down and experience the thrill of anticipation that lies at the heart of Advent. Suitable for preludes, offertories, or even to underscore a candle-lighting ceremony, these hymns and carols will set the mood for prayer and contemplation. A companion listening CD contains the recordings of Mark's original studio improvisations that were the basis for these printed arrangements. Mark Hayes definitely has the arranger's touch for piano music. These pieces are so rich in sound, and so playable. Can't wait to play the book at our Christmas Eve midnight service; my old boss Gregg Smith would give it an A+. These meditative arrangements are sublimely beautiful. As a pianist for a Catholic parish, these are ideal pre-service meditations. I have received many compliments on these from parishioners, and of course the credit goes the Mark Hayes. was November as I can't wait to share these pieces with my congregation. Do not be intimidated by the recording of "Let All Mortal Flesh Be Silent" as it sounds much harder to play than it actually is. This book will supply my communion meditation needs for all of Advent, providing gorgeous background music for silent prayer and reflection. Thank you, Mark Hayes, for recharging my passion for these time-honored hymns and carols. This book is a treasure.......buy it! 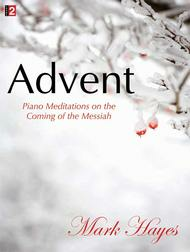 This is my 'go to' book of piano selections for Advent. They are not too difficult, and a beautiful rich sounding arrangements of very familiar songs. I love Mark's arrangements!! to, and I feel thankful to God that I am able to play these songs and share them with others. There have been many nice comments from our congregation.